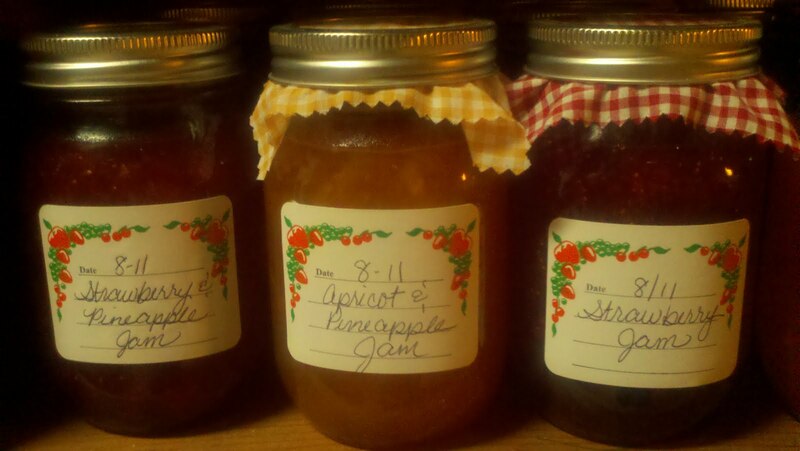 Lissa’s canning images along with a homemade apple Butter/jelly recipe from our own Jean. In either of the following recipes Jean recommends the following apples: Cortland, Jonathan, McIntosh, York Imperial, Beacon, Rhode Island Greening or Rome Beauty. These recipes have been cut down from her original recipes as they were much larger. Heat cider to boiling in 5-quart Dutch oven. Boil uncovered until cider measures 2 quarts, about 1 1/4 hours. Add apples. Heat to boiling; reduce heat. Simmer uncovered, stirring frequently, until apples are soft and can be broken up with a spoon, about 1 hour. Press apples through sieve or food mill to smooth the apple butter. Stir in remaining ingredients. Heat to boiling; then reduce heat. Simmer uncovered, stirring frequently, until no liquid separates from pulp, about 2 hours. Heat to boiling. Pour into hot sterilized jars, leaving 1/4 inch head space. Wipe rims of jars. Seal and process in boiling water bath 10 minutes. Makes about 3 1/2 pints. Heat 4 pounds apples (about 18), cut into fourths, and 5 cups water in boiling; reduce heat. Cover and simmer until apples are soft, about 20 minutes. Strain but do not press pulp through strainer. Strain juice through 2 thicknesses of cheesecloth. When I do it-first we make the cider. 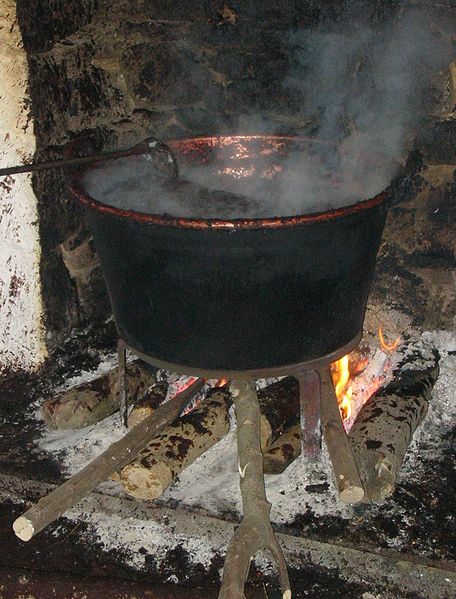 Then I have kettles outside in a wood, cobblestone building that David’s Dad added on to one of the barns where it was Outlawed to have fires in the open (except barbeque). Usually my mother, David’s Mother , sometimes the grandmother’s and Martha get together. The apples come in the back of wagons. 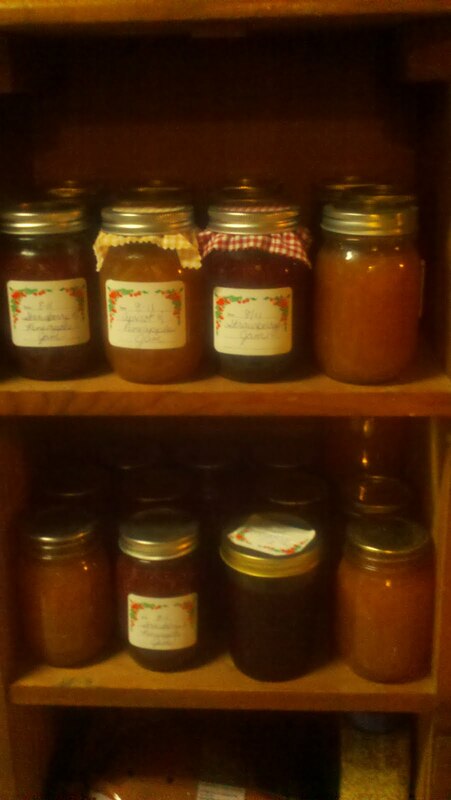 Most of them are from our apples, others are what we purchased from other farmers. I have kettles for cooking and for straining. 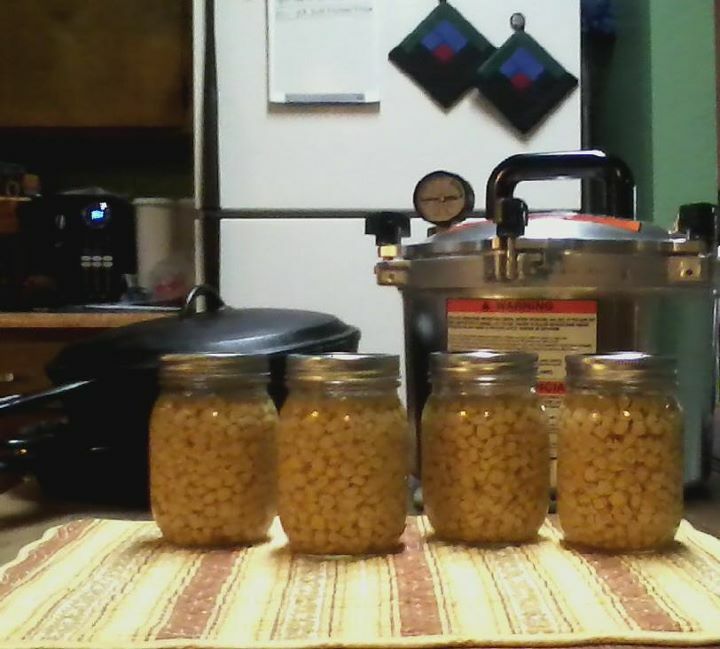 Also I have a stove and sink where we can sterilize the jars. We start cooking in early morning and go on until dinner time. One of us breaks to make lunch . We take a lunch break and then get back cooking. We stop when it is time to go home and cook dinner. This goes on every day except Sunday for a week and a half or two weeks. 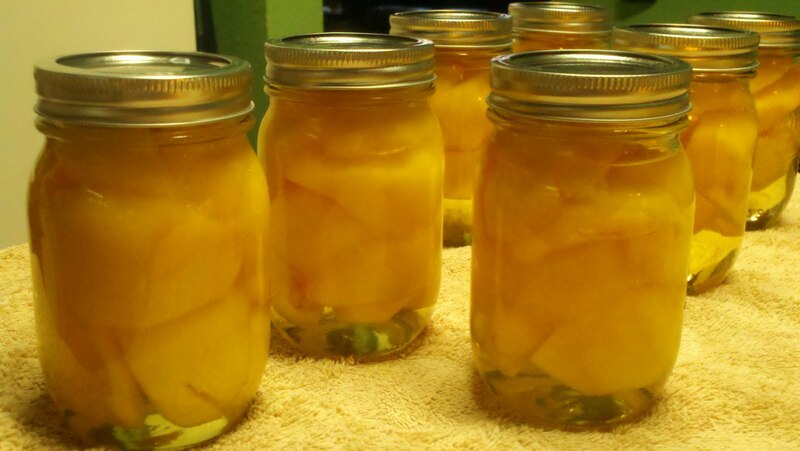 We make over 1000 jars when we get done. At the bake sale people buy both the butter and the jelly. We give some to the sick or housebound. Also, we give them as gifts at Christmas-and of course many are for our houses. Most of them are sold though. If we get around to building another house David would make this building separate from the barn. Neither his father or himself were firemen when that building was built. They didn’t think of what would happen if that building ever caught fire. It never has, but it would be better by itself.